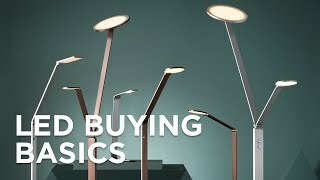 An energy-efficient track fixture with long-lasting LEDs, a sleekly modern design, and adjustable arms. Taking a fresh spin on adjustable overhead lighting, this 3-light track fixture from the Pro Track brand showcases two stationary arms and an additional mobile arm that is able to rotate a full 360 degrees. The brushed nickel finish brings modern appeal to the look, while frosted lens covers create a perfect overhead throw of light. LED design ensures long-lasting light and energy savings for your home. The new look of LEDs: modern track-style fixture with 3 adjustable LED light bars. Mobile bar arms are able to rotate 360 degrees; position with 2 standoffs. 12 watt built-in, non-dimmable LEDs: 120V, 3000K, 960 lumens, comparable to a 60 watt incandescent bulb per each arm. Frosted plastic lenses on the bars; brushed nickel finish, metal construction. LED driver in canopy; measures 4 3/4" wide and 6 3/4" deep. Stationary arms extend 1 1/8" and 2 1/2" off canopy; mobile arm extends an additional 2 1/2" from second tier. Great for our wine room! Beautiful design and flexible to adjust to fill the space for a customized look. It looks really pretty and modern. BEST ANSWER: Per the manufacturer, this was designed to be ceiling mounted only. Yes, but keep in mind that lower arm is not secured to prevent movement. Otherwise I don't see why not. I hope this helps. 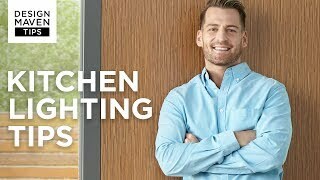 Would this fixture be enough light for a 15' x 8' kitchen? Can this be installed in a sloped ceiling? BEST ANSWER: It can be mounted on a slope ceiling up to 25 degrees. BEST ANSWER: This was designed to be ceiling mounted only. Is there any chance this comes in white? BEST ANSWER: I am sorry, white is not an available finish option. 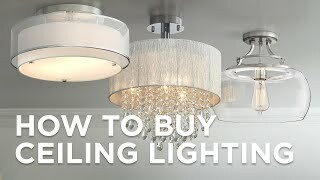 Do you have a similar fixture that is dimmable. I am trying to eliminate a shadow over my kitchen island. D on’t know but it is absolutely magnificent. I have it in my white, shaker cabinet kitchen. 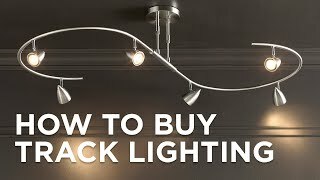 I didn’t want ltrack lighting. 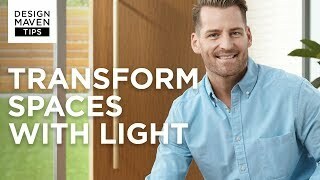 How much light does this fixture produce? It sounds like only as much as one 60 watt bulb? BEST ANSWER: Yes, you are correct. The light output of this fixture is comparable to a single 60 watt incandescent bulb. It is very bright. Each arm is 960 lumens, but the perceived brightness is definitely stronger than three 60W light bulbs. What do you do when lights burn out? BEST ANSWER: LED technology is rated to last anywhere between 30,000-40,000 hours of use. Since the LED is built in, if in the event it goes out it cannot be replaced. Excellent design but too bright. Loved the design, but had to return because it was too bright for our living room. Would work as is in an office space. If it was dimmable, it would be perfect! Also they would sell a lot more. Really too bad. Excellent modern look. Three adjustable white lights makes it easy to direct illumination where you need it mostwhile LEDs add energy efficiency to this track fixture.